Just to show that there are no limits in the current world of branding, Core 77, one of the kings of the design blog scene is launching its own bike. 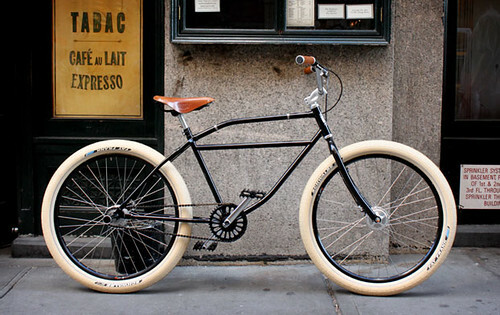 Instead of doing the obvious and launching a publishing arm and producing books, Core 77 used its connections and understanding of the zeitgeist to produce a beautiful hand-crafted bicycle. The bike can be seen up close and personal this Saturday afternoon (July 11th@3pm) in Apple’s Soho, NYC store.